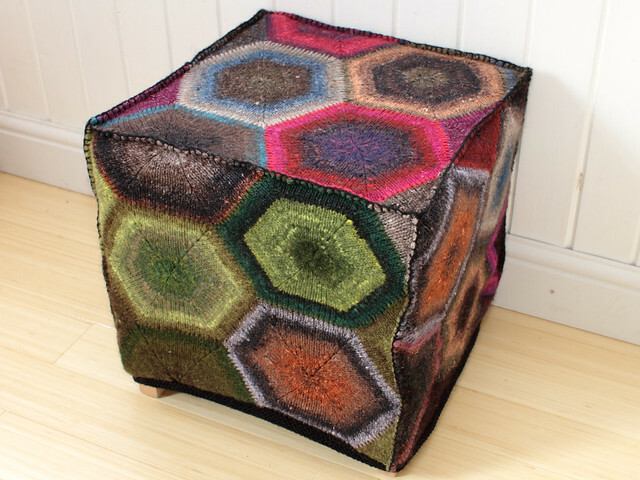 This project was to become the prototype for my Hexagon Blanket pattern – knitting a flat hexagon being a tricky thing to perfect! 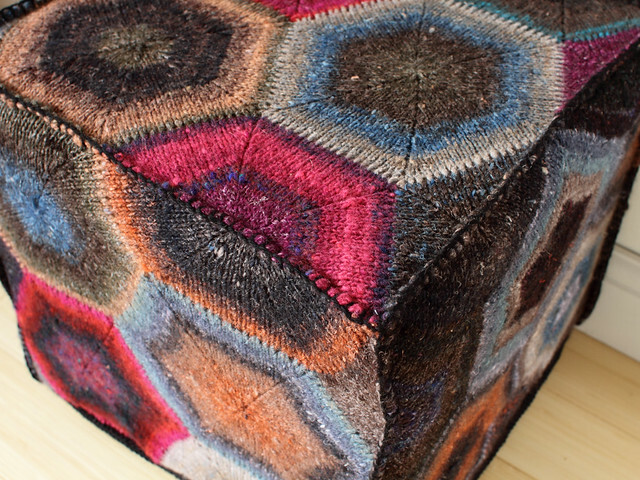 It has been an elaborate project – knitted at a tighter gauge than usual then lightly felted in order to create a dense fabric, suitable for upholstery. Earlier pieces were misshapen after felting and had to be aggressively blocked. I machine-sewed the pieces together with raw edges exposed, but I wasn’t happy with how it looked and I decided to blanket-stitch over the edges with black yarn. I added a black garter-stitch band around the bottom to balance the uneven edges and complement the black stitching. 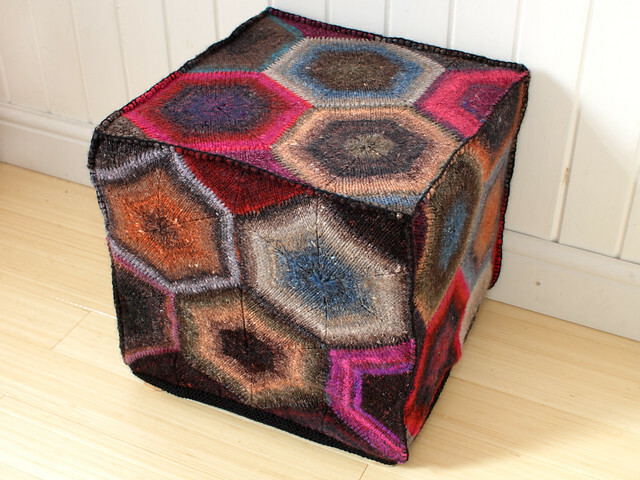 The project took quite a lot of yarn, as you’d expect – mainly used Noro Silk Garden in shade 204 and Kureyon in shade 124, as well as numerous left-overs. I discovered quite early on that switching yarns mid hexagon looks much better at the start of a segment. I thought I’d chosen relatively muted colours and was taken aback by how characteristically bold the piece is. It seems that I just can’t help myself! It also demonstrates that combining brights with neutrals makes them pop even more. Full details of the yarns used are on the Ravelry project page.